Terrain: The Space Between from the Collections of Jordan D. Schnitzer and His Family Foundation. 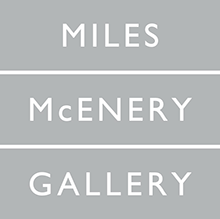 (Ashland, Ore.) — Southern Oregon University’s Schneider Museum of Art has announced the opening of its Fall Exhibition, “Terrain: The Space Between from the Collections of Jordan D. Schnitzer and His Family Foundation.” The work is curated by SMA Director Scott Malbaurn, and includes work by Vija Celmins, Judy Pfaff and Ed Ruscha, on view in the museum’s Entry Gallery through Jan. 5. The exhibition’s opening reception will be from 5 to 7 p.m. on Thursday, Sept. 27, at SOU’s Schneider Museum of Art. Ed Ruscha, Judy Pfaff and Vija Celmins have vast differences in artistic styles, but they share a similar appreciation in the spaces between. The space between the viewer, the black redaction marks and the landscape in Ruscha’s “Country Cityscapes: It’s Payback Time” (1991) leaves a question of what is blocked out – not only the words, but the scenery behind it. One is caught between wanting to know what is more important; what lies behind the large marks or the reasons behind marking the image. In Pfaff’s “End of the Rain” (C) (2000), the space between the viewer and the blue house creates a feeling of driving along an abandoned country road and spying an old home across the lake. The lack of space between the viewer and the waves in Celmins’ “Ocean with Cross #1” (2005) creates a loss of horizon and a direct plain of existence, leaving the spectator in a state of alarm. Jordan D. Schnitzer bought his first work of art from his mother’s Portland contemporary art gallery at age 14, starting his lifelong avocation as a collector. He began collecting contemporary prints and multiples in earnest in 1988. The collection now exceeds 13,000 works and includes many of today’s most important contemporary artists. It has grown to be one of the country’s largest private collections. He generously lends work from his collection to qualified institutions. The Foundation has organized over 160 exhibitions and has had art exhibited at over 100 museums. Schnitzer is also president of Harsch Investment Properties, a privately-owned and Portland-based real estate investment company that owns and manages office, multi-tenant industrial, multi-family and retail properties in six Western states. For more information about the Jordan Schnitzer Family Foundation, please visit jordanschnitzer.org. 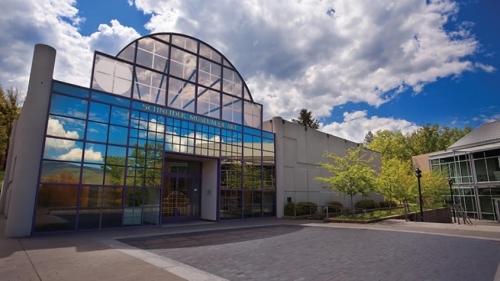 The Schneider Museum of Art, part of the Oregon Center for the Arts at SOU, is a vital force in the intellectual life of SOU that promotes an understanding of the visual arts within a liberal arts education. Serving both an academic and community audience, it builds a challenging environment that engages with the visual arts through exhibitions and programs supporting interdisciplinary study, research and discourse.